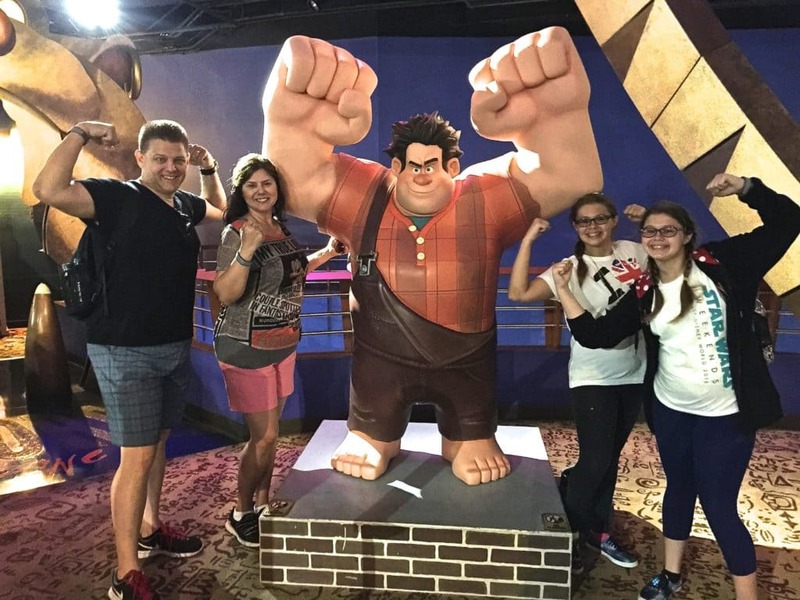 During our recent summer trip to Walt Disney World in Orlando we decided to dedícate a day to exploring Downtown Disney- a new adventure for our family with older kids. Usually we go for a while at night or for lunch on the day we’re leaving, but during this visit we dedicated a full day to the area that includes lots of INDOOR fun during the hot summer days. 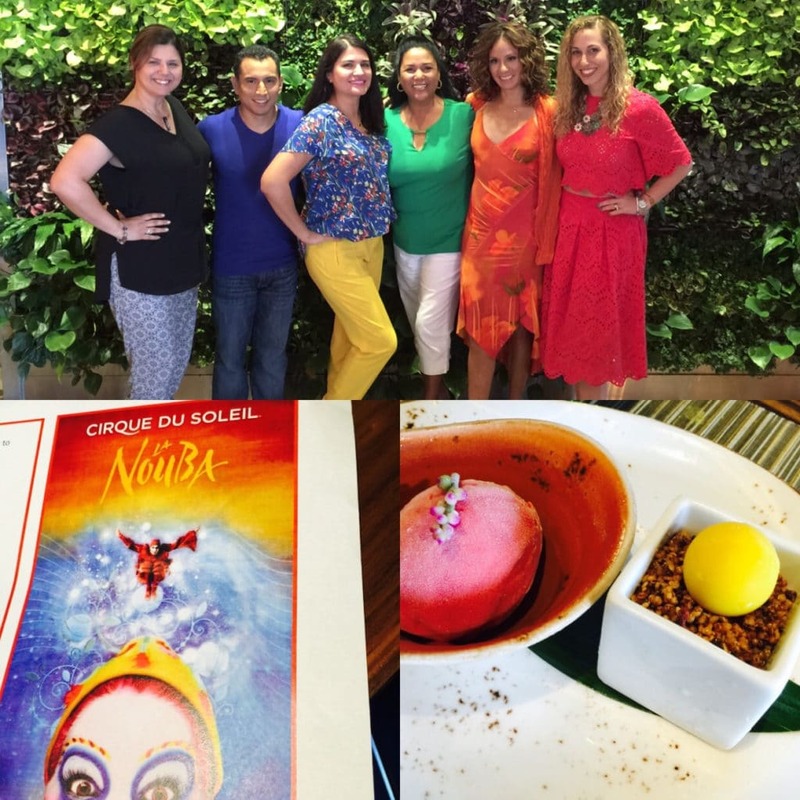 And we were excited to find out about La Nouba from Cirque du Soleil- a year-round spectacular. Los Tweens & Teen Publishing family meets Wreck It Ralph at DisneyQuest. Our first stop was Disney Quest – an indoor playground that helps your older kids embrace their inner gamer and creative side. From developing your own fun roller coaster design that you actually get to ride via a simulator to designing a new animated character, the indoor park was lots of fun. I’m not sure which activity I liked more: being immersed in a life-size interactive pinball game, playing my old-time favorite arcade games including Ms. Pac-Man and Frogger (ehehe) or the quiet lounge area where I took a break all alone (in air conditioning!). 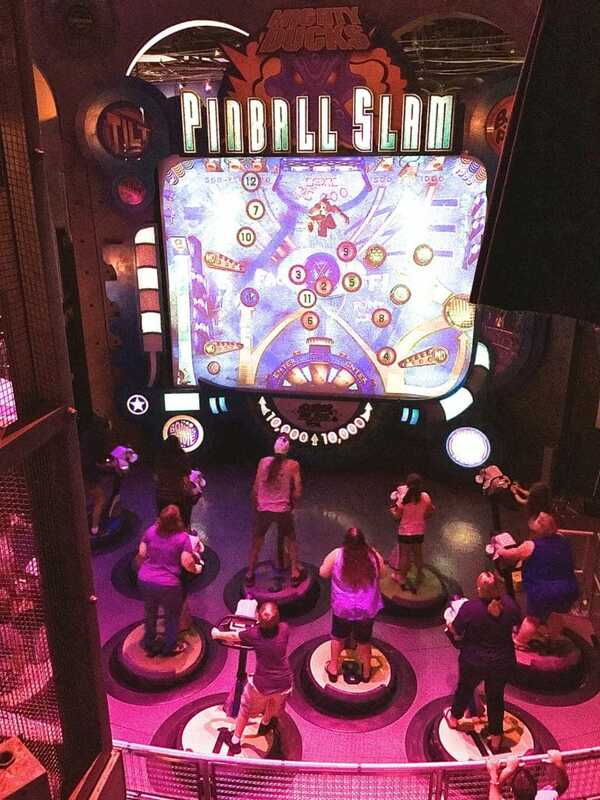 Lifesize pinball playing allows adults and kids to engage in digital fun together at DisneyQuest. From Disney Quest we searched for a yummy late lunch and of course there are tons of restaurants in Downtown Disney that cover just about every cuisine and price point for families. I like that there are more options than just your average fried chicken or burgers. As a major Cirque du Soleil fan one of my favorite stops is the La Nouba show- an amazing experience for all ages and in particular for tweens and teens who have vivid imaginations. La Nouba is actually a show created and dedicated to it’s Downtown Disney Orlando location so you can’t see it anywhere else. It’s story is very much a touching fairy tale and even involves a frog, humor, illusions and of course romance complete with a serenade. My favorite part of Cirque du Soleil shows is always the music combined with aside the artistry. But of course kids really love the humor, jugglers and amazing acrobats. During a spectacular luncheon we had the opportunity to meet two of the La Nouba performers who originate from Mexico and bring amazing artistry to the yearly show. This is a great time to see La Nouba, at Walt Disney World. They have a special Florida Residents offer, where you can purchase tickets for as little as $49 dollars. If you want to make it a weekend, Florida Residents can also enjoy great rates this summer from $107 per night, plus tax, at Disney’s All-Star Music Resort.